Please fill out the information below, and we will try to find your account. I would like to receive Account and IdleAir information via SMS. 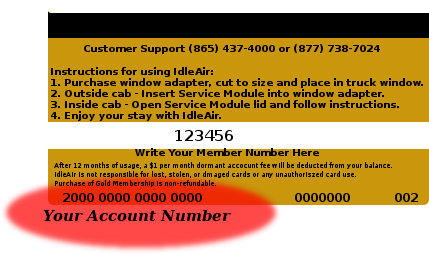 I would like to receive Account and IdleAir information via Email. © 2012-2016 Convoy Solutions, LLC dba IdleAir, All Rights Reserved.